Oh, and I should mention...you get to eat 1/4 of the pan for those measurements! Who's ready for dinner, fiesta style? Combine lime juice, zest, garlic, cilantro, cumin, salt, and pepper in a large ziplock bag. Add chicken and cauliflower; shake to combine. Allow to marinate for at least 10 minutes. Add chicken and cauliflower mixture to pan; top with tomatoes. Bake for 15 minutes. 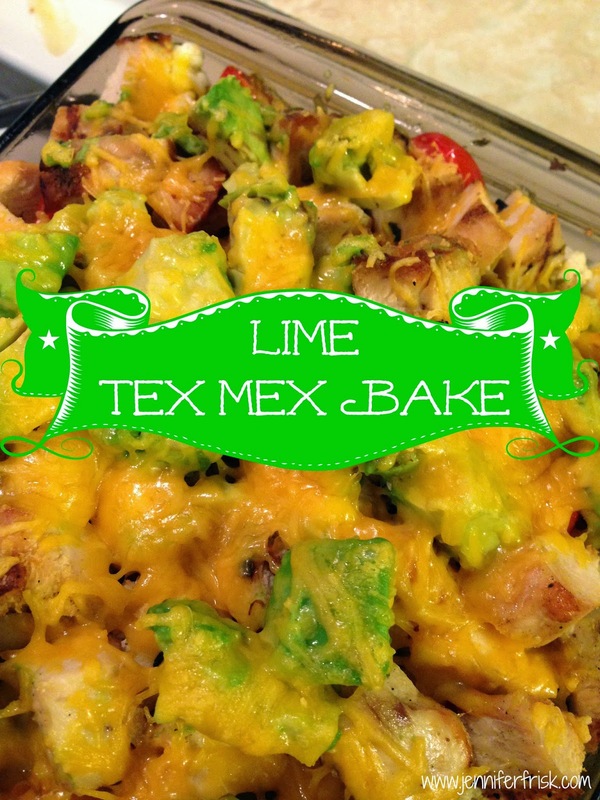 Top with avocado and cheddar; bake 5 minutes longer. That's it, and it's amazing. Trust me, you WANT to make this! If you do, let me know in the comments or tag me on FB, IG, or Twitter.